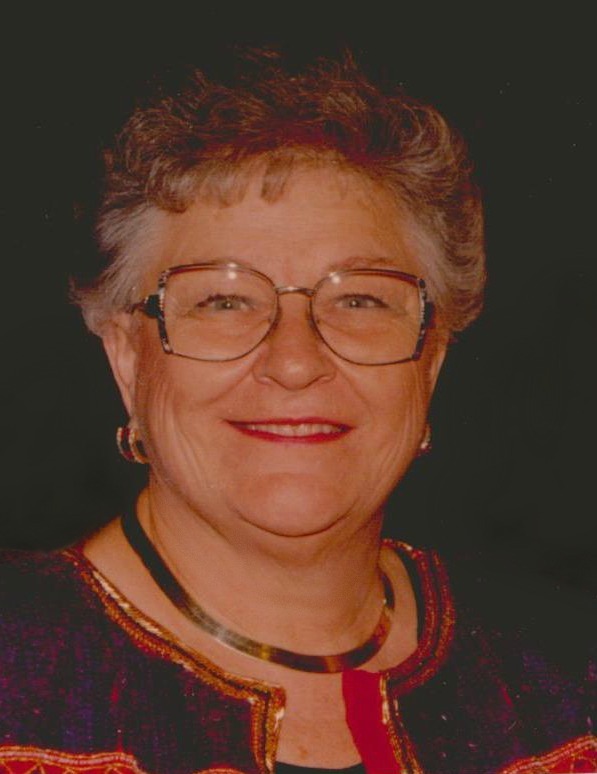 Geneva Louise (Hatton) Baldwin passed away at 86, in Prescott, AZ, on November 18, 2014. Geneva was a long-time resident of Mesa, having first moved to Arizona as a young woman in 1948. She met and married the great love of her life, Capt. Austin Guy Baldwin, U.S.A.F., shortly before he was shipped out to fight in the Korean War. They were reunited in Japan after 18 months apart and lived there for two years. The couple was later blessed with two children, but they had only a few short years together before Guy’s tragic death at age 30, in 1955. Geneva returned to Mesa to be near her parents, Jim and Maudie Hatton, and to raise her young children on her own. She was an amazing mother, generous with her love, time and whatever she had to give. She worked for 22 years for the City of Mesa Building Inspection Dept., before retiring in 1988. She enjoyed her retirement, traveling with friends or with the Friendship Force to over fifty countries. She was active in her church, in Gold Star Wives, attended classes at M.C.C. and enjoyed visits with her family. Geneva is survived by her son, Michael W. Baldwin and grandson Brandon M. Baldwin, of Tucson, her daughter and son-in-law, Catherine and James Trapp, of Prescott, AZ, a brother, James Weldon Hatton, of Sierra Vista, AZ and a nephew Richard Ley, of N.M.
Services will be held on Saturday, Nov. 22, 2014 at 11 AM at Bunker’s Garden Chapel, 33 N. Centennial Way, Mesa, AZ 85201. Graveside services to follow at Mesa Cemetery. In lieu of flowers, the family suggests contributions be made in Geneva’s name to the Alzheimer’s Association (alz.org).